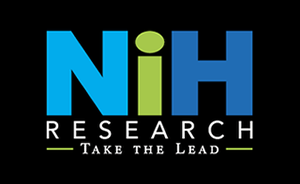 Very simply, NIH Research & Consulting, LLC (NIHR) is a Total Sales Support Solution for the healthcare industry. That means that we consider and offer services that touch every single aspect of the entire sales cycle. In fact, you can think of NIH Research as a total outsource partner for research and marketing or as your remote research and marketing department. Either way you look at it, you’re getting the full array of services that most companies can’t afford to staff at the level that we do at NIH Research. Our approach is designed to get results and yield high performance for your lead generation and market research goals. And, because our specialized process was developed specifically for the healthcare industry, you can rely on our findings to power your sales and marketing efforts. Then we solidify this information in the minds of our market research and lead generation specialists through role playing, situational training and objection handling. The result is an experienced healthcare team that’s armed with a deep understanding of your company’s goals and how to achieve them. A Project Manager is also assigned at this point to see that the campaign is carried out in a manner that yields the full potential of opportunity for your company. We’re able to deliver such impressive results because of the highly-specialized skills of our consultants. They do more than contact leads; they ask probing questions and collect detailed comments so that your sales force has a tremendous head start when following up on the opportunity. With internal employees, you’re lucky to see 3-4 hours a day of productive lead generation work. With NIH Research you can more than triple that productivity while avoiding the expense of insurance, vacation time or other benefits and the same time. Your information is checked, rechecked and proofread for accuracy and completeness by NIH Research management so that your team can confidently follow up any viable opportunity without feeling the need to “cherry pick” leads due to an information gap.